WE love seeing others fall in love with Virginia! We are members of the USAA Relocation Team and are lifetime members of USAA. We are affiliated with the Women’s Council of Realtors and the Dupont Registry Gallery of Fine Homes. To communicate well and promptly, serve our clients with a smile and have some fun in the process. We derive the greatest satisfaction when we have met and exceeded your expectations. Ultimately, the focus is on YOU. We are consistent Top Producers, award winning in Relocation, teaming together with Real Estate III to provide a superior level of informed, professional real estate services and attentiveness to buyers and sellers in the City of Charlottesville, Albemarle County, Keswick, Crozet and the Wintergreen area of Virginia. We have assisted retirees, graduate students, first time home buyers and families find homes in surrounding counties such as Greene, Nelson, Louisa and Augusta. We have assisted clients from Europe and Hawaii, in addition to the continental U.S. With 27 years of real estate experience, we can guide you through the process of establishing the best price to offer for a home, finding a reputable mortgage company, walking you through the sequence of purchasing a home and even staging your home to maximize it’s value. With the advent of online marketing overshadowing print advertising, a key presence on the internet is imperative to buyers finding your home. 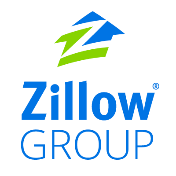 We employ not only our company website, but an additional Zillow website, are Premier Agents with Zillow, Realtor.com and use the DuPont Registry for our Luxury Properties. We promote our properties nationally and internationally to help your home be found by potential buyers globally. Additionally, we can be found easily on Facebook, Instagram, Pinterest, and Twitter. Local marketing includes the highest quality of print advertising, flyers, signage and calling attention to your home through our network of agents in Virginia. Our philosophy is living the Golden Rule. We offer our clients honesty, confidentiality, information and expertise in the real estate market. We treat our clients the way we would like to be treated. Top level communication at the frequency and method you prefer has worked well for our past and current clients. Most of all, we LISTEN. Hearing your challenges, dreams and needs, help us to help you. We look forward to working with you in the future! 434-882-0824.